We all have gifts and talents. Many here at First Pres and in our community have been blessed with extraordinary musical talents and abilities. 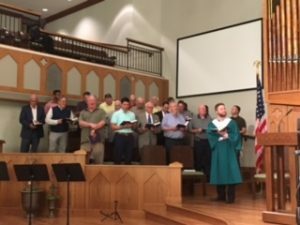 Those members and friends seek to use those musical talents to give glory to God, and to bless others with the gift of a “joyful noise” in the form of beautiful music. Music enriches the life of our congregation in worship, ministry, and daily life. Find out more about our Music ministries at First Pres!